Robert Federighi, a resident of Dublin, CA passed suddenly on November 21, 2018. He was born on August 8, 1946 in Italy to proud parents Gino and Riccarda Federighi. Bob as he was known by family and friends, was a loving father, Nonno, brother and friend. 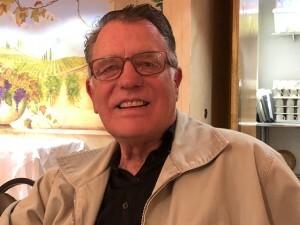 Born in Lucca, Italy, but raised in the Bay Area, he attended Sacred Heart Prep and Heald College in San Francisco and went on to have a long career as a Civil Engineer with Alameda County Public Works. He enjoyed spending time with family (especially his grandchildren), and loved watching sports, cheering on as a life-long fan of the Warriors, 49ers and Giants. He was very active within the Catholic Church and served as an officer of the Pleasanton Knights of Columbus (4th Degree) from 2015-present. Surviving are his sister Norma of Pleasanton, his son Dale (with his wife Amy) and daughter Julie (with her husband Sean), along with 5 grandchildren; Kyle, Kate, Kali, Elliot and Joel. The family will receive friends for visitation on Monday, December 10, 2018 from 6:00 PM to 8:00 PM with a rosary at 7:00 PM in the Chapel of Wilson & Kratzer Chapel of San Ramon Valley, 825 Hartz Way, Danville, CA 94526. A Memorial Mass will be held on Tuesday, December 11, 2018 at 10:00 AM at St. Augustine Catholic Church, 3999 Bernal Avenue, Pleasanton, CA 94566. If you wish, donations can be made to St. Jude Childrens Hospital ( https://www.stjude.org/donate/ ).